Karesuando Kniven has been making handcrafted knives and tools in the Lapland region of Sweden for over 35 years. Their knives are made using natural materials that are native to the region such as reindeer hide, horn, Masur birch, curly birch bark and wool. 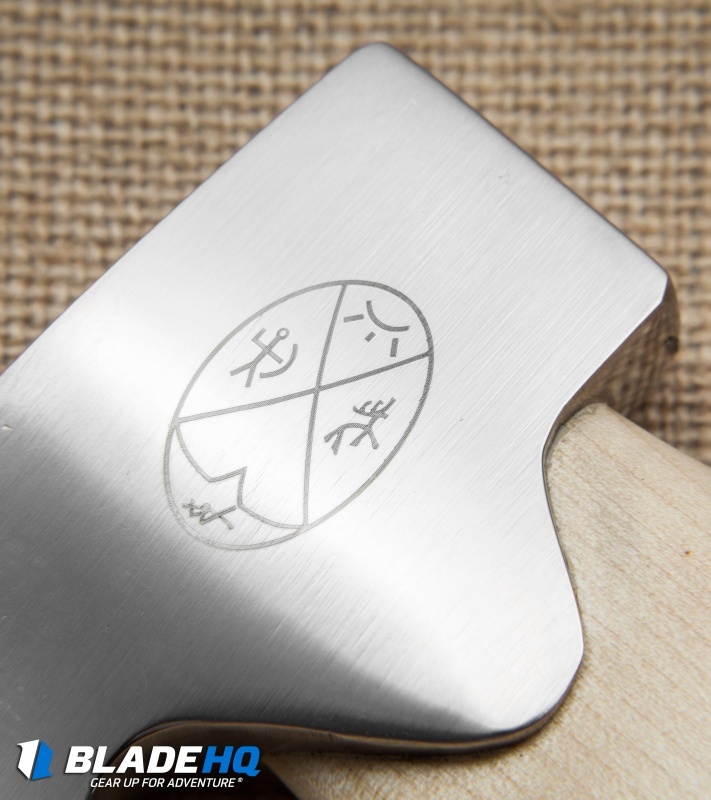 The Karesuando brand represents handmade quality using traditional knife making techniques. 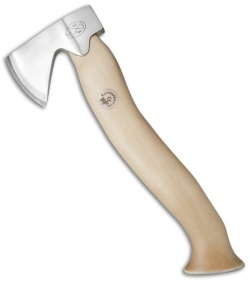 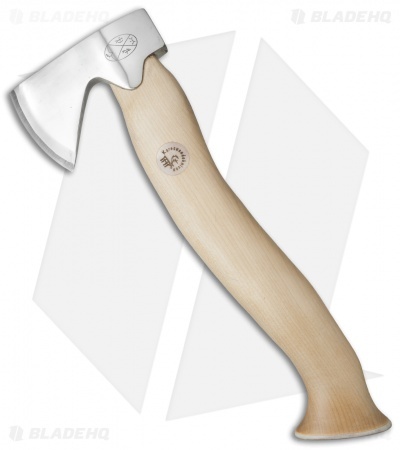 The Stoerre Unna Áksu, or "The Great Little Axe", has a natural birch handle and a 12C27 stainless steel axe blade. It is 11.75" overall and has a 2.625" polished satin blade. The handle is composed of reindeer antler and birch wood in a natural finish. 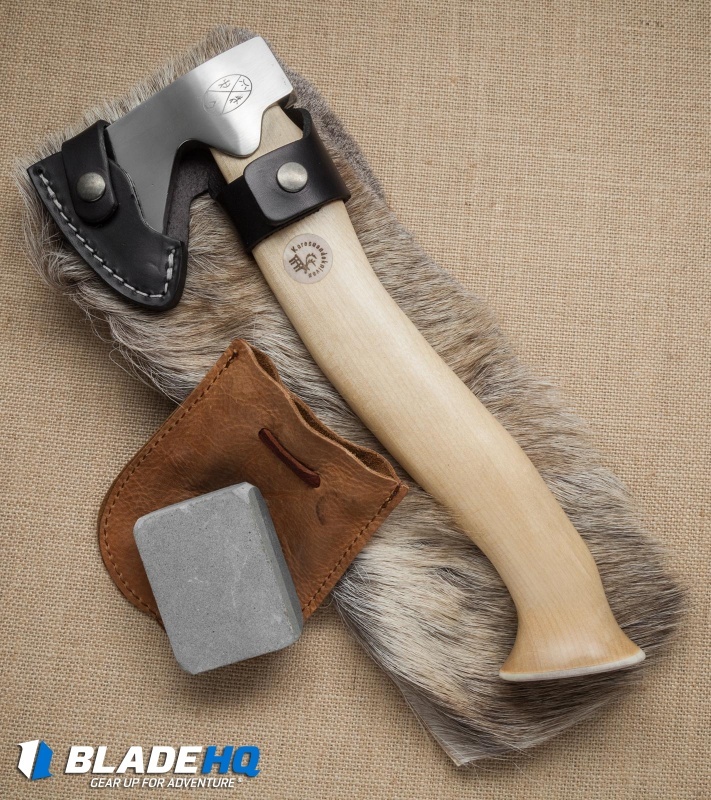 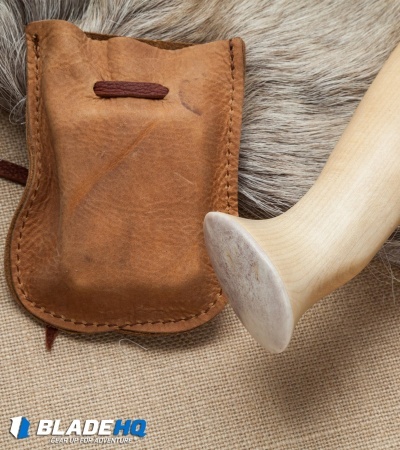 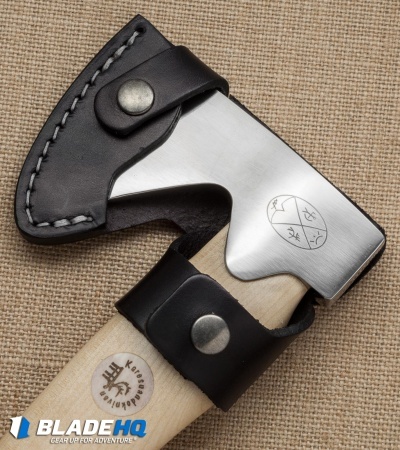 This axe includes a black leather sheath and a diamond sharpening stone with a brown leather drawstring pouch. 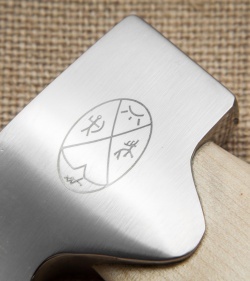 Karesuando Kniven uses time-tested materials and techniques from the Lapland region of Sweden to create the highest quality cutting tools.